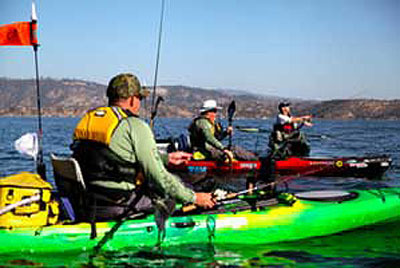 A San Diego California native and certified fish and game and IGFA licensed guide, Jim is recognized worldwide as a pioneer in the sport of kayak fishing. 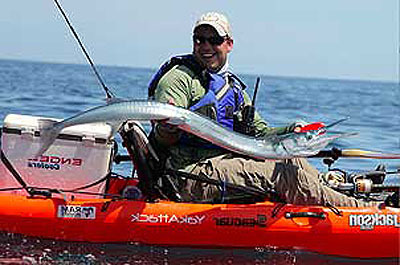 Involved in the sport of kayak fishing for over twenty years he owns and runs La Jolla Kayak Fishing Adventures and East Cape Kayak Fishing guide services and has work closely with kayak manufacturers on the development of new kayak designs and with various fishing tackle and kayak accessory companies on their growing kayak fishing line of products. 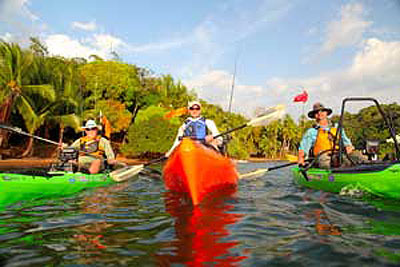 With his trademark hat and his numerous special appearances on a variety national fishing shows, Jim has become one of the most recognizable kayak anglers in North America. But it's his infectious enthusiasm for the sport, his lively personality and his passion for sharing the sport with others which has made him and an ideal host of The Kayak Fishing Show with Jim Sammons, which airs on The World Fishing Network. 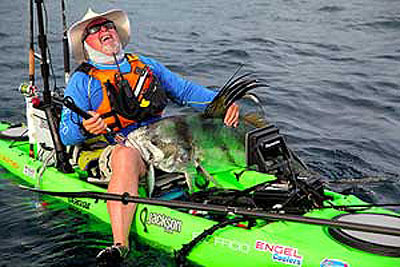 In 2013 Jim began working with premier fishing kayak manufacturer Jackson Kayak as a sponsor of his show as well as on kayak design. Working with designer Tony Lee and the rest of the Jackson team Jim has brought his years of kayak fishing experience around the world to help make what he feels will be the ultimate "Paddlers" fishing kayak. 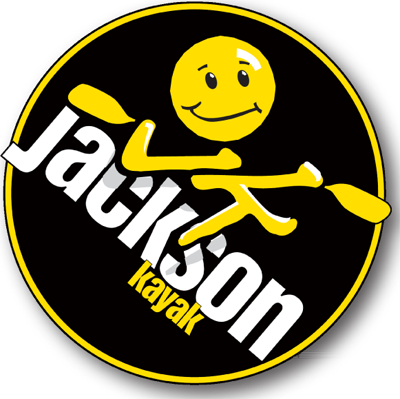 In late 2014 Jackson Kayaks will Release The Kraken, a Jim Sammons signature kayak. 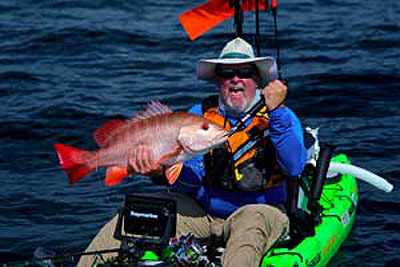 Use the links on this site to follow Jim's kayak fishing exploits around the world.